YouTube Music and YouTube Premium: now available in 3 Latin American countries! The service, which is available in 22 countries, is launched simultaneously in Colombia, Peru, and Chile. The platform, owned by Google, announced that from Tuesday, November 13 will operate in Colombia, Peru and Chile new services for which it will charge users, available for Android and IOS. Leer en español: YouTube Music y YouTube Premium ¡Disponibles en 3 países de Latinoamérica! First, YouTube Music is designed for those interested only in audio playback and claims to have "one of the richest catalogs in the world". Music has the options of video, favorites, playlists, and releases. In addition to library tools and an advanced search engine. According to YouTube, this application has an "easy to use" interface. The announcement also highlighted that its home screen is customized according to the user's tastes, creating playlists based on daily activities, video recommendations based on artists listened to continuously, new releases based on the musical history of the artists. users and a list that hosts the most popular videos in the world. This application comes to compete directly with platforms such as Spotify and Apple Music and, if you want to use the tool in the version without ads, has a monthly cost of $ 14,900 (4.66 USD) pesos in Colombia, $ 3,400 in Chile (4.93 USD) and 16.90 (4.98 USD) in Peru. On the other hand, with YouTube Premium, you can download, play videos in the background, use the platform without ads and consume YouTube Originals, such as Cobra Kai, Impulse, The Sidemen Show and Sobreviví series. "Its Premium version allows you to listen to music in the background (when the screen is blocked or while using another application), without ads and download songs to play without internet," the platform explained. This platform has a value of approximately 0.93 USD more. In addition, both platforms, like Netflix and Spotify, have the option of a family plan of up to five people. According to the newspaper Dinero, this is not the first time that YouTube goes to the market charging for services with its brand. In fact, in some countries, it has launched others such as YouTube TV, which offers access to television programs through subscriptions. 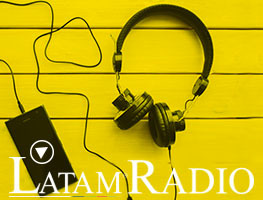 Finally¸ the music director for YouTube Music in Latin America assured El Tiempo that there are plans for the service to reach more Latin American cities in the course of 2019.